This is our guide to taxation in Luxembourg. You will find everything you need to know, alongside an abundance of information that will be undoubtedly useful when planning to place employees or work within Luxembourg’s borders. EAFS tax guides provide a summary of practiced taxation rates on income and rules for the tax year, allowable deductions and tax credits and information regarding special expatriate tax regimes. This guide also covers social security and working visas, highlighting the necessary requirements to work in Luxembourg legally, with key dates highlighted for tax returns. We specialise in helping to reduce tax and administrative overheads for those working in Europe with companies located throughout Europe. 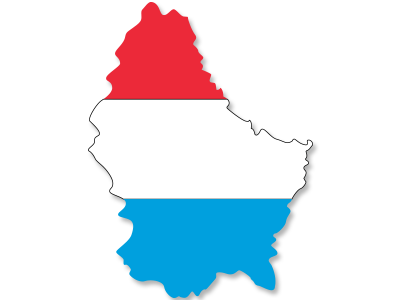 Please contact us with any enquires you may have about working in Luxembourg. You can find the income tax rates for 2014 in relation to Luxembourg within this section. This section contains relevant information on Social Security within Luxembourg. Employers in Luxembourg must apply to the competent authority for employment permits on behalf of the employee. EAFS can take complete control over administration and payroll. We can also take full jurisdiction of dealings with the Luxembourg Tax and National Security Office. Fully specialized in the labour market of Luxembourg and holding an established relationship with the Luxembourg tax authorities, we can also offer an Umbrella Service for contractors within Luxembourg’s borders, ensuring legality and helping you to gain the best possible marketplace retention rate. Social Security and Tax are deducted at source, calculated on the tax card basis, submitted for each individual at the beginning of every fiscal year. EAFS is registered with the Tax Authorities and National Social Security Office of Luxembourg. EAFS can take over total responsibility for the administration of your payroll within Luxembourg. We can offer Umbrella Services for contractors working in Luxembourg. EAFS are registered with the Tax Authorities of Luxembourg and the National Social Security office to ensure legality and gain beneficial retention rates.